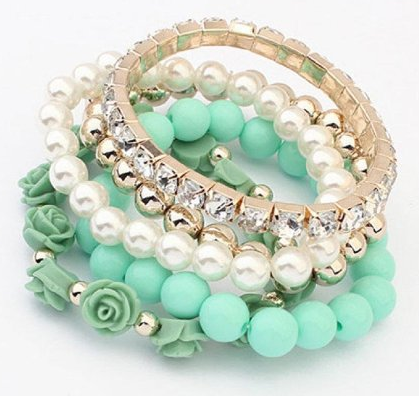 Acrylic Rose Crystal Elastic Bracelet Only $3.59 Shipped! You are here: Home / Great Deals / Amazon Deals / Acrylic Rose Crystal Elastic Bracelet Only $3.59 Shipped! Mint is in and these beautiful bracelets will get people noticing you! Get these Acrylic Rose Crystal Elastic Bracelets for Only $3.59 Shipped! This would go great with any outfit and even make a tank and shorts looks nice! Get yours NOW!